Several ancient civilizations like the Persians and Romans, took pride in building bathhouses and spas with elaborate wall mosaics. 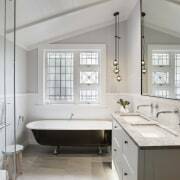 But over the years, having a well-designed bathroom in the home took a backseat, with the focus mostly trained on the design of the more public living area. 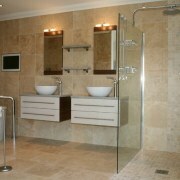 Thankfully, that's changed in recent years and we've seen some stunning design concepts for bathrooms. 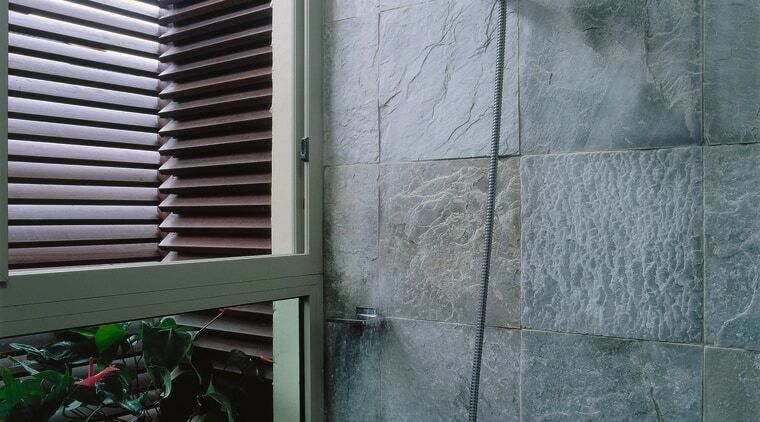 The largest element in your bathroom are the walls – but they don't always get the consideration they need. We've got some great ideas for how to make your bathroom walls a stand-out feature. 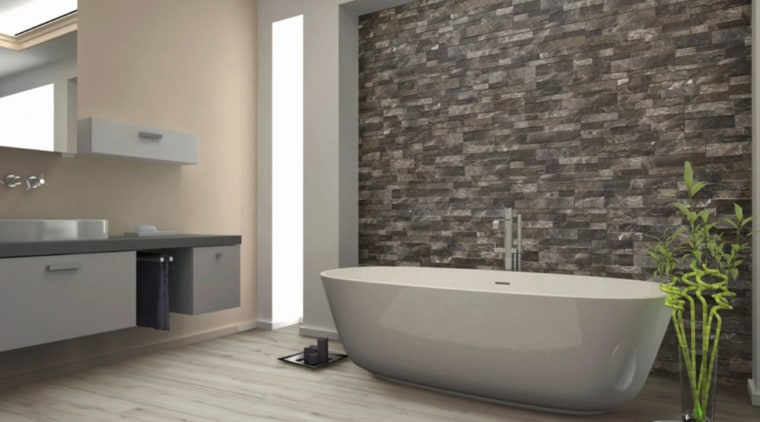 The rock tiles adds a natural look to the bathroom. 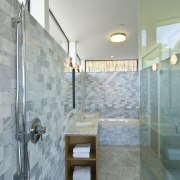 Pebbled or river-rock shower tiles are popular among homeowners who prefer adding a unique element to the shower. River-rock stone tiles usually come in two ways. They can be either single pieces that can mosaic together, or come in pre-cut sizes. The latter is always easier to assemble. 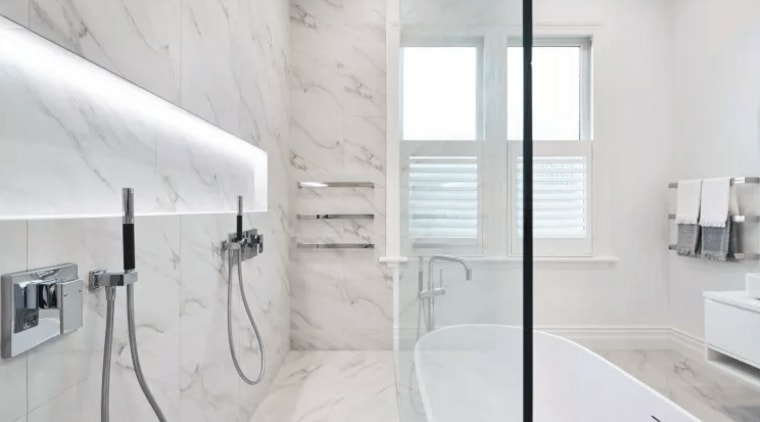 Marble is the overwhelming favourite while doing your bathroom. Marble tiles have never been out of fashion. 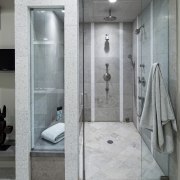 In fact the entire shower bathroom can be finished in marble – with Carrara marble being the most popular. 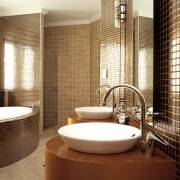 If you want to add some excitement to your shower tiles then mosaic is one of the best ways in this regard. 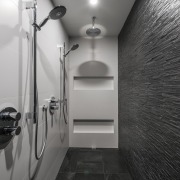 These tiles can add a pop of colour, drama, shape, and shine to your shower, the backsplash, and the recessed shelf. 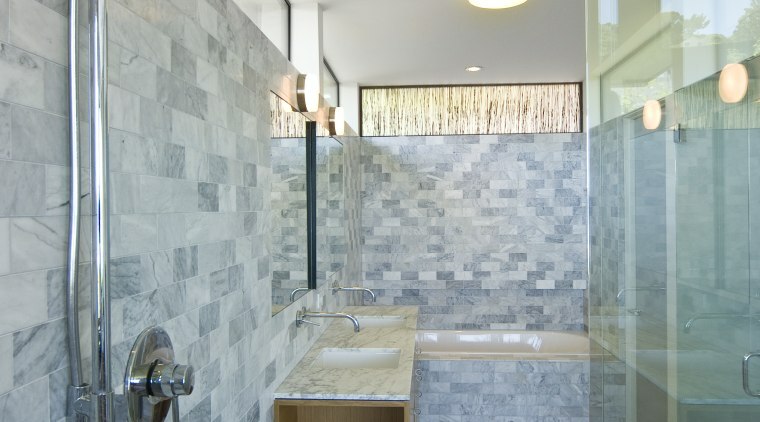 A framed or a striped accent, or a full wall glass mosaic looks striking inside the bathroom. You can also create mosaics to create borders to add a personal statement to your shower area without breaching the budget. 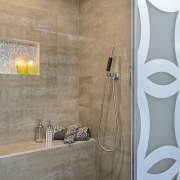 The biggest advantage of a border tile is that it can be changed in future according to the taste of the homeowner. This is a decorative wall covering which extends partly up the wall. It’s usually done in wood and in bigger spaces like the dining area. But it can also used in bathrooms to add character. Wainscoting is handy for those on a budget. You can tile or wood panel a section of wall from the floor up and then paint the rest with a glossy or semi-gloss paint. 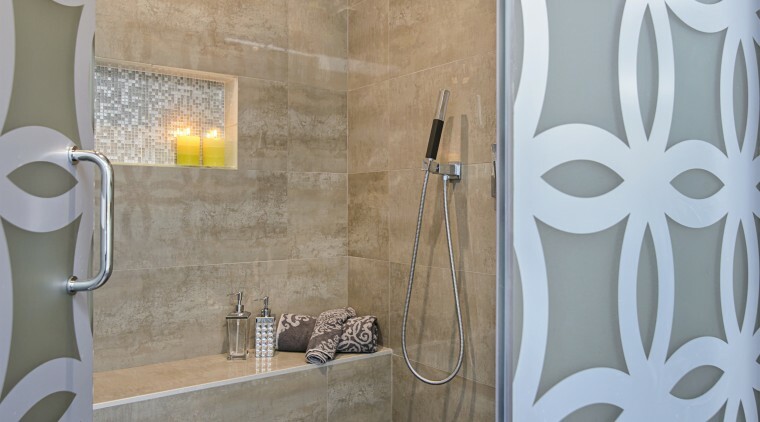 Patterned tiles have always been a favourite with homeowners and apartment builders alike. 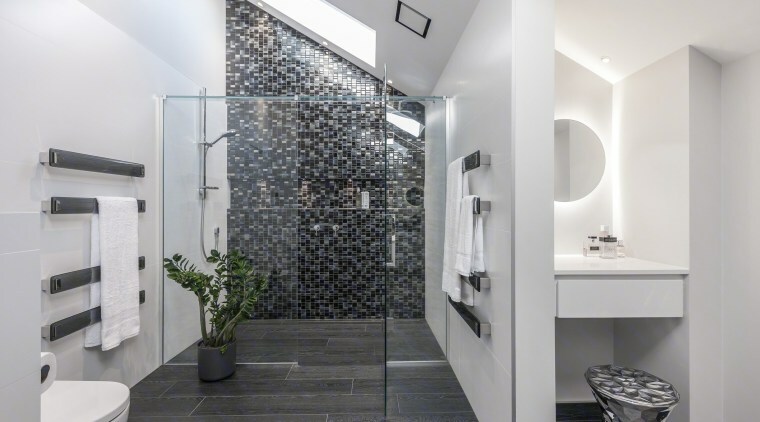 The entire bathroom can be done with patterned tiles that will impress your guests. You can also have different patterns for the floor and the wall. 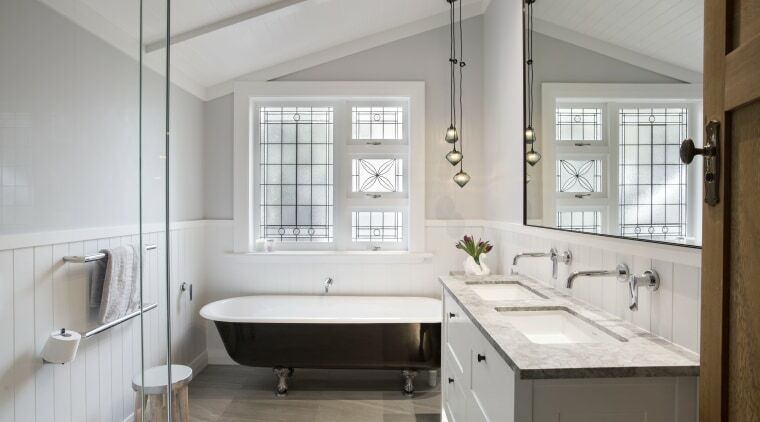 With home sizes shrinking, it is one of the easiest and least expensive ways to give impact to a small bathroom. 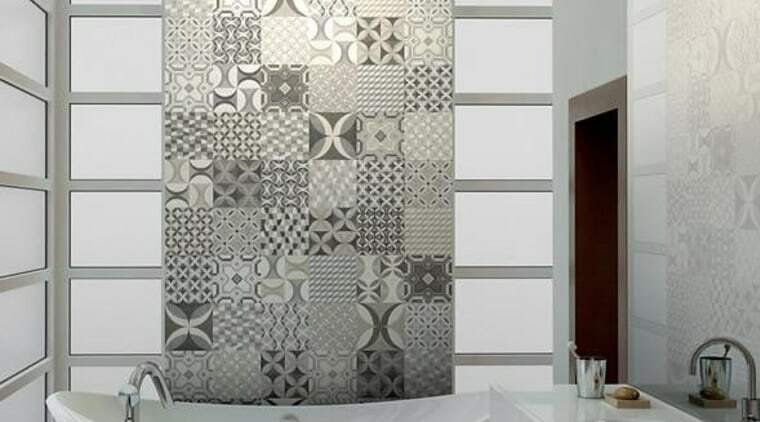 Floral designs for tiles or wallpaper can lend a graceful look to your bathroom area. The entire space will look elegant if you use floral patterned tiles. Or you can use different patterns for the floor and walls. 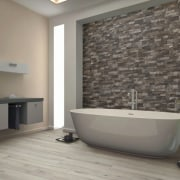 These tiles have been traditionally used on bathroom floors but are now being used on the walls as well. 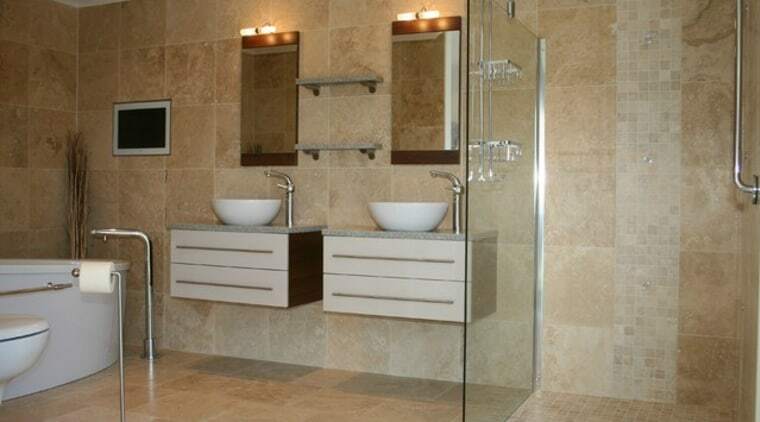 Travertine tiles are timeless and fit into any style of bathroom – traditional or contemporary. 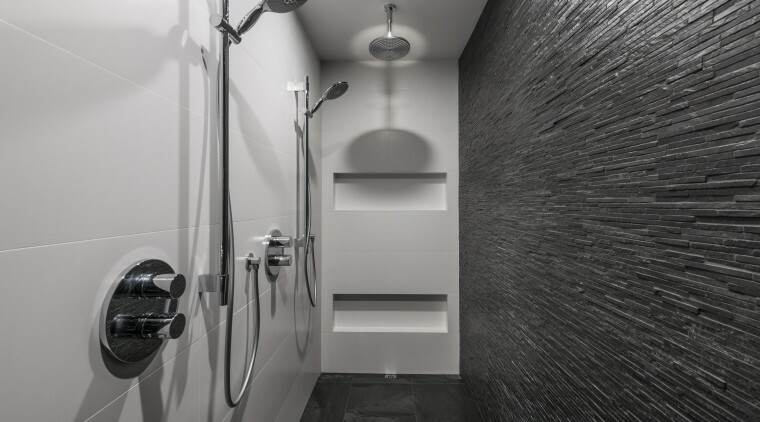 This shower area includes feature tile surfaces, built-in seating and a wall niche with mosaic tiles. 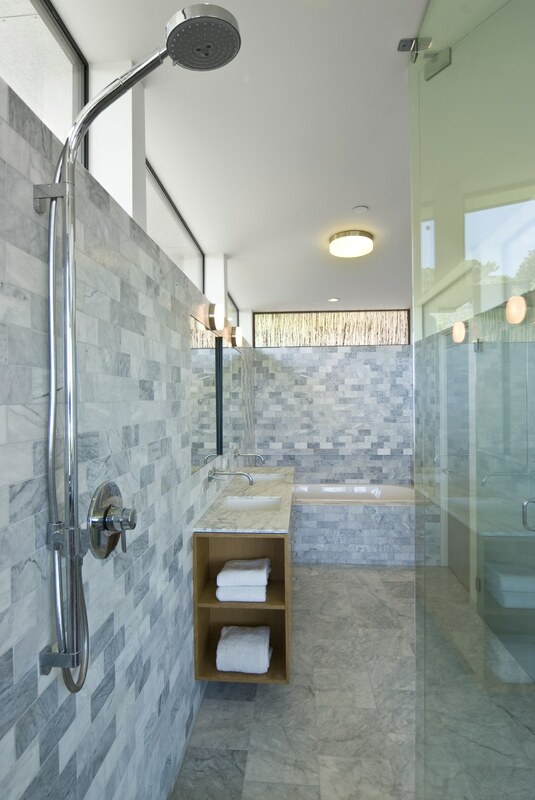 The bathroom was designed by Diane Taitt of De Space Designs. 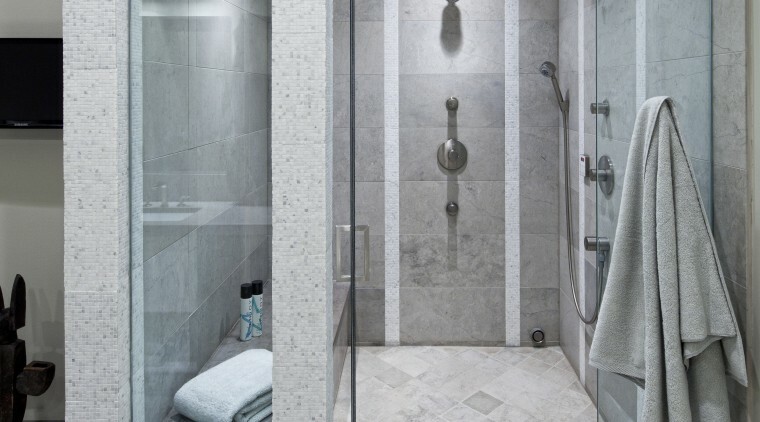 To add interest to this new shower area, architect and designer Terri Crittenden introduced bands of Calacatta mosaics set within larger limestone tiles. 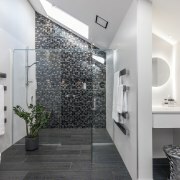 The floor tiles laid on the diagonal are another subtle detail that helps to enhance the spa-like feel of the bathroom. 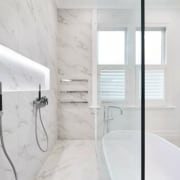 This bathroom features a marble tiled shower enclosure and marble floor tiles. 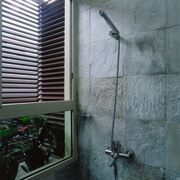 Detail of a shower with stone wall tiles, next to window.